Ray Anderson founded Interface, the company that makes carpet tiles. He was a serious businessman, focused on building his company and making great products. Then he read Paul Hawken’s book The Ecology of Commerce. Something clicked: with his company’s global reach and manufacturing footprint, he was in a position to do something very real, very important, in building a sustainable world. 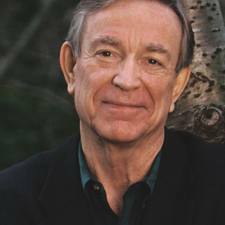 Anderson, who died in August 2011, estimated that since 2001 he’d given more than 1,000 speeches making the business case for sustainability. He led from the front and then worked tirelessly to encourage other businesses to transform to sustainability.